Police were looking for drugs in a Willimantic apartment on Tuesday, police said, and what they report finding is a home not fit for the two small children who were there. When police showed up at the first floor apartment in the 100 block of Union Street, they found a 3-year-old and a 1-month-old in a unit infested with rodents, police said. 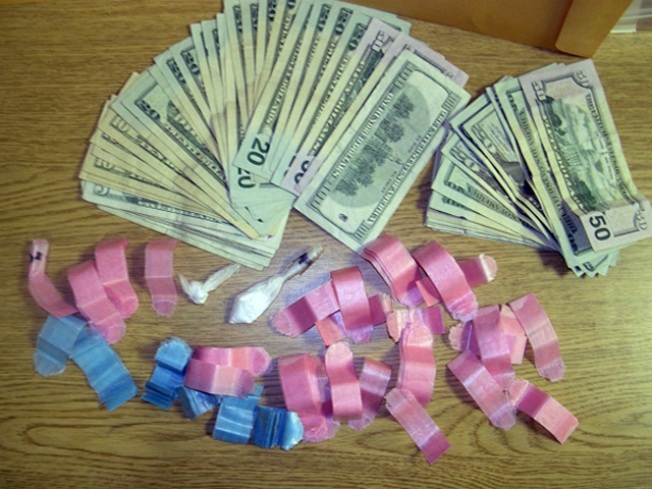 Police also said they found 120 bags of heroin packaged for sale, 4.1 grams cocaine, $873, and drug paraphernalia. There was no electricity. The residents were using an extension cord running from the second floor apartment into this one, police said. In the kitchen area, there was a propane gas grill. The Willimantic Building Department immediately condemned the apartment and served the residents and the building owner a notice. Ricardo Ramos, 43, and Yamillette Ramos, 40, were charged with possession of heroin, cocaine and drug paraphernalia. There were additional charges because the items were found within 1,500 of a school. Demesis Vargas, 21, of the same address, was charged with risk of injury. Bond was set at $50,000.